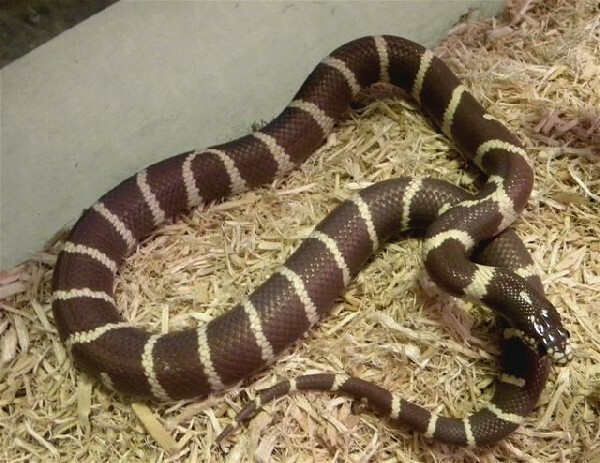 Probably the most commonly kept and bred kingsnake, the California kingsnake was one of the first captive bred reptiles in the pet trade. Because of its hardiness, ease of maintenance, ready appetite, and prolific breeding they are a popular first breeding project. Available in banded and striped forms in the wild, captive breeding has made just about any combination possible, with patternless, pinstripes and other "designer" morphs readily available. Here you may post messages or questions pertaining to all aspects and issues regarding the keeping, breeding, health, and conservation of California kingsnakes (L. getula californiae).